Will A Snoring Mouthpiece Fix My Snoring Permanently? When you have a problem, you want a permanent solution and not just a temporary fix, right? If your problem is snoring, this statement especially rings true. If you are considering using a snoring mouthpiece and want to know if it’s a permanent fix, the answer to this questions is – yes, it can be. I’ve used a snoring mouthpiece for many years now and know several others who have also. Snoring mouthpieces can be a long-term solution that will provide years of snoring relief, as long as you use it as intended and take good care of it. There is, however, another permanent solution that may help to reduce or eliminate snoring in some. This solution doesn’t cost a single dollar and can literally save you thousands of dollars over the course of your lifetime. Okay, I will give you one more hint. This solution is one of the most commonly cited new year’s resolutions. If you guessed “weight loss”, then you would be correct. 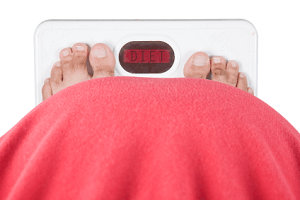 Losing weight can affect your body in several different ways, including the reduction of snoring. Preventing snoring may be as easy as losing a few pounds. Before going any further, I would like to emphasize that not all who snore are overweight and not all who are overweight snore. That being said, if you are overweight, losing as little as 10 lbs may seriously reduce or completely eliminate your snoring. How so? To understand how excessive weight causes snoring, it’s important to first understand where snoring originates from. In most cases, snoring originates in the airway and may be caused by a number of different factors which are often related. Sometimes, the structure of the airway simply does not permit adequate airflow while asleep. Other times, the airway muscles get old and worn out. Often airways become partly blocked due to surrounding fatty tissue pushing against it. In nearly all instances, the airway becomes narrow and the soft tissues that surround the airway begins to “flap” against each other. This flapping motion creates the sound which is known to most of us as snoring. Excessive fatty tissue tends to store in the neck among other areas of our body. The fat tissues exert pressure on the airway, placing force on it. As we sleep, the muscles that control our jaw, tongue, and airways begin to relax and the excessive fat pushes against the airway, causing it to narrow. When this occurs, we start to hear the sound of snoring which is created by the flapping of airway tissue. By losing weight, you can reduce the fat around the neck which will lessen the amount of pressure on your airway. Simple enough, right? Not always. As we get older, our bodies are not able to lose weight as easily as it did in younger years. Losing weight also takes a bit of willpower, which is difficult when you live in a fast-paced society that glamorizes calorie dense unhealthy foods. Perhaps you have tried to lose weight or simply have no interest in doing so. Is there an easier solution? 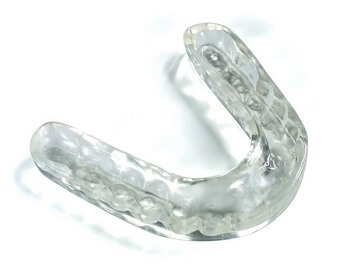 The snoring mouthpiece is a long-term snoring solution that works night after night, year after year. The luxury of using a mouthpiece is that you don’t have to commit to any major lifestyle changes. Before going to bed, you simply place the mouthpiece inside of your mouth and it does the rest. Upon rising in the morning, remove and clean it before leaving it out to air-dry. How can such a small piece of plastic stop your snoring? Let’s go back to the explanation of why we snore. As mentioned, a narrowed airway is typically the source of snoring. A snoring mouthpiece rests between the upper and lower teeth and holds the jaw forward. By doing so, it holds the muscles in the airway in a tightened position and prevents the sound of snoring. There are of course other products out there that work in a similar fashion such as the AveoTSD or the Good Morning Snore Solution. Both of these products are known as Tongue Stabilizing Devices and attach to the tip of your tongue to tighten the airway by holding your tongue in the forward position. Which one works better? In my personal experience testing both types of products, they actually both work well. Each one does, however, have its own advantages and disadvantages. Is a Mouthpiece Made For Long-Term Use? When using you’re a mouthpiece as a permanent solution, you should always use it as directed by the manufacturer. Keep in mind that a part of following the manufacturer’s instruction involves accurately answering their questionnaire prior to purchase. Such questionnaires are designed to determine if you can safely use their product. 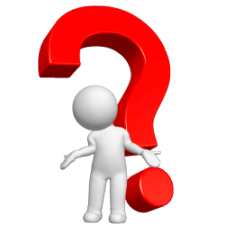 The company who is selling the mouthpiece is required to ask questions about your oral health such as “Do you have any loose teeth?” or “Does your jaw make a popping noise when chewing or speaking?”. These questions help them to determine if a mouthpiece is a safe solution in your particular case. Once you receive your mouthpiece, read the instructions carefully and follow each step. For safety reasons, it’s very important to follow instructions exactly as printed and contact the manufacturer if you have any further questions. If you plan on using a snoring mouthpiece or any other medical device for a long period of time, it’s a good idea speak with your doctor who will be able to provide advice for your individual circumstances. A snoring mouthpiece will continue to work as long as it’s used properly and not worn out. You will eventually have to purchase a replacement. The useful life of the product greatly depends on two factors. The first factor is the quality of the device that you choose. Just like clothing and cars, not all mouthpieces are created equal. Here is a comparison table that will help you sort through all of the available mouthpieces. Some are designed to last only 2-4 months while others can last over 2 years. The second factor that will determine useful life is the amount of wear that you exert on your mouthpiece. If you tend to grind your teeth (Bruxism) or like to chew on your mouthpiece before going to bed, it’s only going to last a fraction of its useful life. Clean and inspect your mouthpiece after each use to ensure that it’s in good working order. If it becomes dirty or worn out, it’s time to order a replacement or a better idea is to always keep a spare on hand so that you have a replacement at all times. Ultimately, it’s up to you and your physician to decide if a mouthpiece is a good long-term snoring solution for you. While most companies will sell you a mouthpiece after satisfying their questionnaire requirements, it’s always a good idea to first speak with your doctor. Using earplugs for snoring – Is this really a snoring solution? Previous post: My Husband Snores – What Can I Do To Make Him Stop?